I received this novel from Net Galley and Bonnier Zaffre Publishing in return for an honest review. 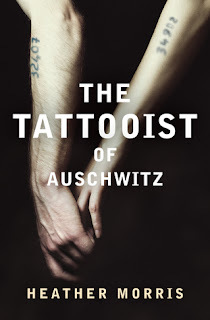 This novel tells the true story of Lale and Gita Sokolov, 2 Slovakian Jews who survived Auschwitz. This is an incredible novel which tells a beautiful story of the strength of love to survive against all odds, and the lengths that people will go to survive against the horrors of the Holocaust. The courage that both Lale and Gita show during this novel is astounding, and the courage and strength that Lale showed in retelling and thus reliving this story after Gita's death in order that this novel could be written is so inspiring to read about. This is an extremely harrowing topic for a novel, but the novel has moments of such light and beauty that it never becomes overwhelming, and the underlying current of the love between Lale and Gita is something beautiful to be privy to. I actually learnt quite a lot about the Holocaust from this novel. It covers a lot of aspects of the concentration camps that I don't think are really covered in general discussions about it, and it definitely gave me a greater insight. I would definitely recommend this novel to everyone, I would confidently label it a "must read". It is compelling and unputdownable, and so engaging. A special shout-out must be given to the author who has done a brilliant job of writing/telling Lale's story. Her compassionate and sensitive writing makes this narrative emotive and thought provoking, and ultimately adds to the overall power of the novel. I enjoyed the way this novel made me think. It questions exactly what a human will do to survive a place like Auschwitz? And how does one deal with the guilt of being a survivor?